Balzer + Bray, 9780062271044, 32pp. For fans of Ezra Jack Keats, this perfect read-aloud is a timeless story featuring plenty of animals! A little boy is looking for Lion. Lion is looking for lunch. And so our story begins. But look closely. . . . In this tale, nothing is quite as it seems! Children will delight in this classic picture book with a mischievous twist. Miriam Busch earned her MFA in writing for children and young adults from Hamline University. She loves pie and elephants and trees and whales and stories of all sorts. You can visit her at www.miriambuschauthor.com. Miriam and Larry Day also collaborated on the picture book Lion, Lion, which was named an Illinois Reads selection, an NPR Best selection, an Indie Next Best selection, a Junior Library Guild selection, and a Bank Street College Best Book of the Year. They live in the Midwest. Larry Day is the illustrator of over twenty picture books, a painter of fine art, and a storyboard artist/art director for advertising agencies. He is the recipient of many state awards for his books, as well as three gold medals from the Society of Illustrators. Larry also won the Golden Kite Award for best illustrated picture book (Not Afraid of Dogs). Find him online at www.larrydayillustration.com. 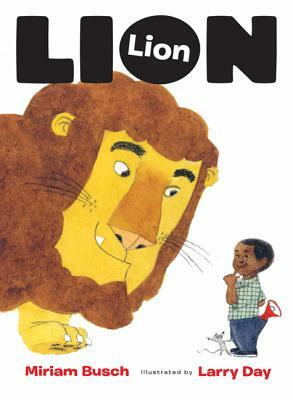 Larry and Miriam Busch collaborated on the picture book Lion, Lion, which was named an Illinois Reads selection, an NPR Best selection, an Indie Next Best selection, a Junior Library Guild selection, and a Bank Street College Best Book of the Year. They live in the Midwest.